There was a one-day visit to the ASTRON headquarters today. ASTRON is the Netherlands Institute for Radio Astronomy, and one of the world's leaders in this field. Located in the north of the Netherlands, near the village of Dwingeloo, this establishment has a long history in radio astronomy, including the Dwingeloo Radio Telescope. This 25m radio dish was completed in 1956 and, at the time, was the largest radio telescope in the world. Although this venerable instrument is still operational, ASTRON is more widely known these days for building, operating and leading the LOFAR project. However, there are lots of other areas that ASTRON works on, including the Westerbork Radio Telescope array, which is located nearby, and participation in the Square Kilometre Array. ASTRON operates under the umbrella of the Dutch national research council, NWO (Nederlandse Organisatie voor Wetenschappelijk Onderzoek). 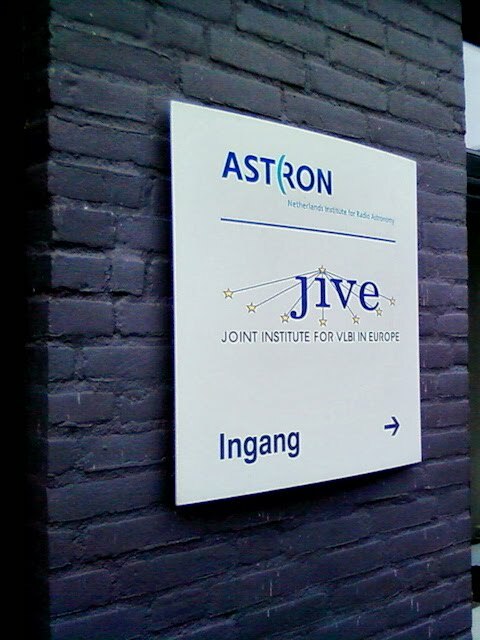 Also located on the same site, is the Joint Institute for VLBI in Europe (JIVE). 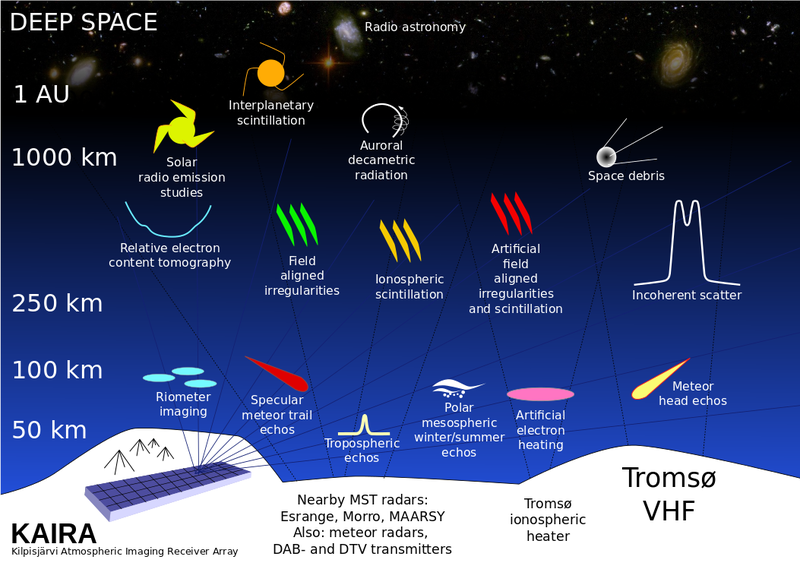 This affiliated organisation is responsible for Very Long Baseline Interferometry (VLBI) and has its headquarters and data processing facility located here. The visit today was very successful and a lot of interesting topics were covered... not just KAIRA, but also LOFAR, EISCAT and SKA work. 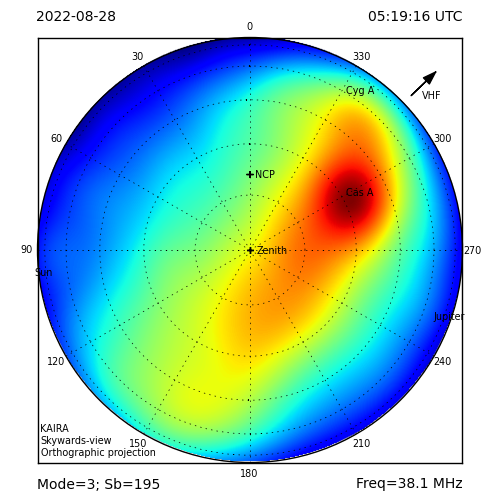 One thing of particular interest, is the production methods that ASTRON are developing for the AA-mid (mid-range frequency aperture arrays) part of the SKA project. These VHF antennas systems could be of particular use to the ESICAT_3D project as a way of generating huge phased array systems.